Today, we have something a little different. Something special. 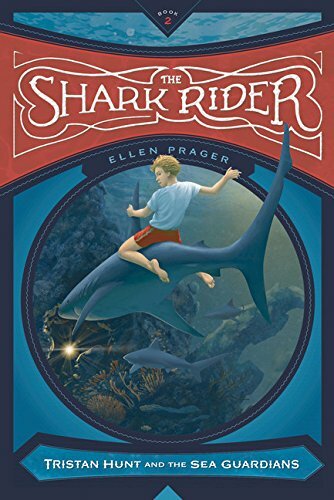 Marine scientist and author Ellen Prager is allowing Kid Lit Reviews to post a deleted scene from The Shark Rider, book #2 of the Tristan Hunt and the Sea Guardians series. Tristan has completed a mission in the British Virgin Islands with his Sea Camp pals and withered a hurricane. Now he must let his parents–who are not sure about Sea Camp and its safety–that he is just fine, without too many white lies or stretching of the truth. I hope you enjoy this deleted scene, not available in the book, or anywhere else but Kid Lit Reviews. 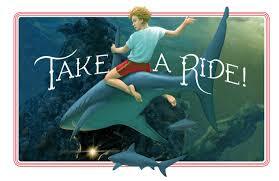 To get a copy of Shark Rider online go to Amazon —Book Depository—IndieBound Books—iTunes Books—Mighty Media Press. 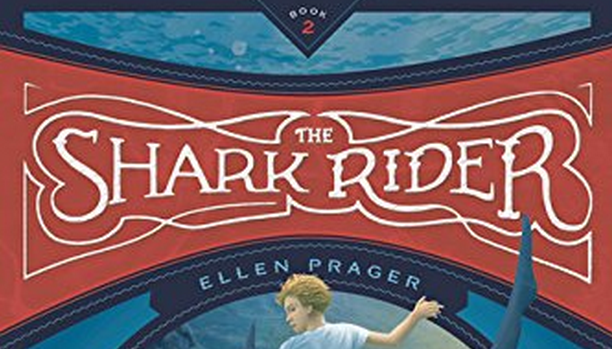 Ellen Prager will be at Kid Lit Con on Friday, October 9th and will take part in the STEM Panel. Get information on this Baltimore event HERE. Teacher’s Activity Guide can be found HERE. Copyright © 2015 by Ellen Prager/Mighty Media Junior Readers. All Rights Reserved. This is different and I loved reading the deleted scene. Haven’t read this series, but I know it will have great appeal to teens. Well done! This is a wonderful series located on, in, and around the oceans. These kids each have a special aquatic ability, like webbed feet once in water. Tristan can talk to and understand sharks. 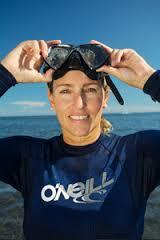 It is an interesting series with an eye on conservation of the oceans and animals. I think you would love it. You have not read this one yet?! Erik, you will love it. I promise. Do you need a review copy? Let me know.